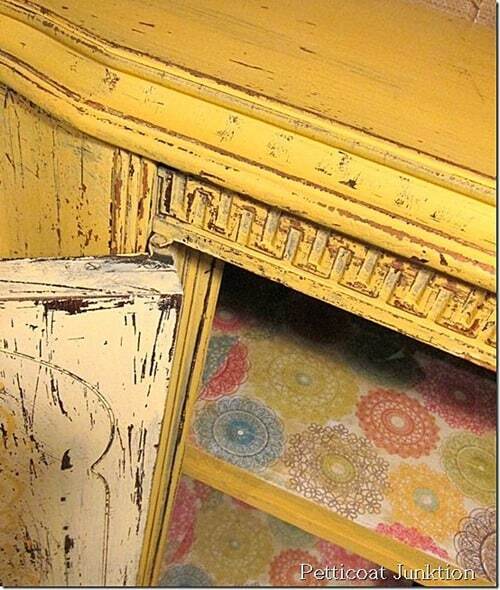 I paint a lot of furniture and adding an extra touch or two takes the project to another level. Sometimes it’s something as simple as lining the drawers. 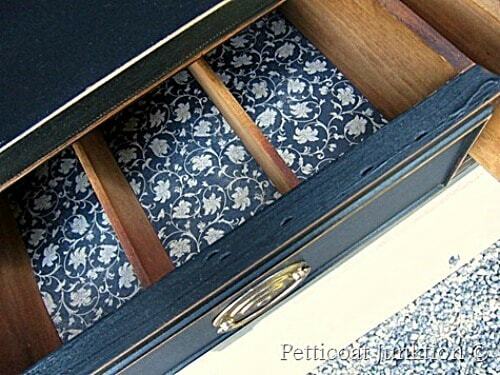 I’ve lined furniture drawers with scrap book paper, wallpaper, brown kraft paper, textured wallpaper, book pages, etc. 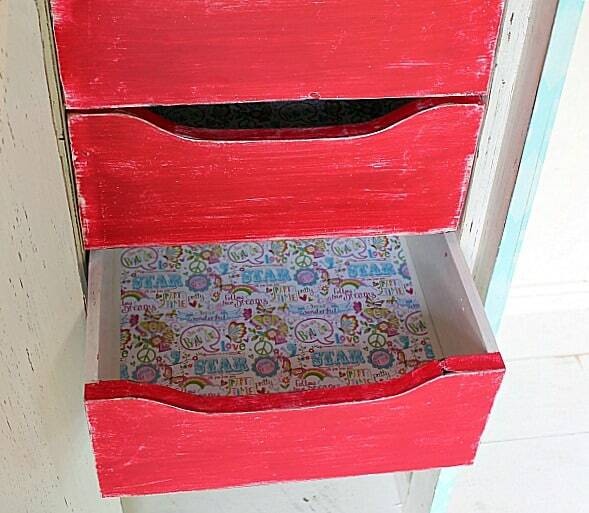 I always get the scrap book paper on sale and the other things I pick up at thrift stores when I see interesting prospects for drawer liners. 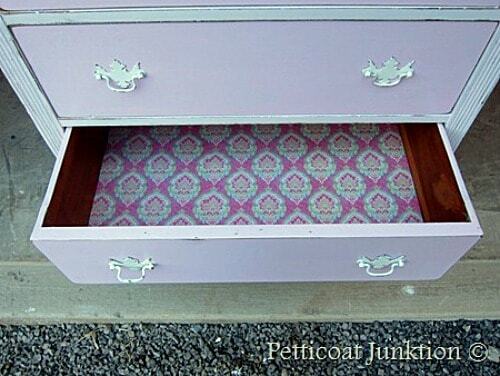 Below are some of the projects with cute little drawers. 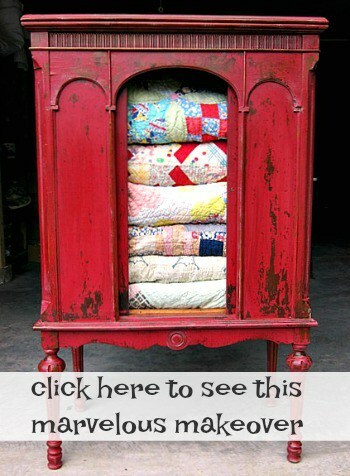 Just click on the pic or the pink link to view the entire furniture makeover. 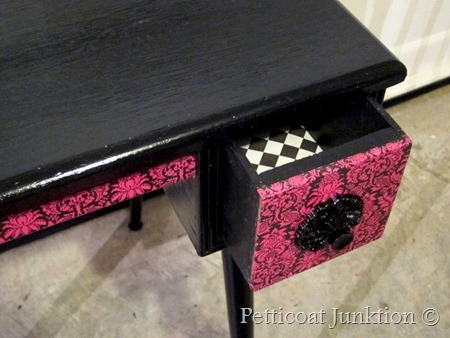 Sometimes I forget to take photos of the drawers…like on my Extreme Painted Furniture Makeover. I took that piece to the shop on Friday. 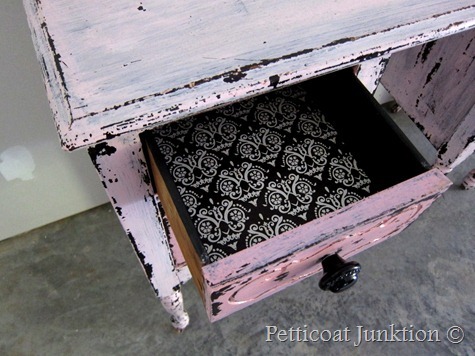 Love your selection for all the drawer liners above. Great coordination with the paint and style of the pieces. Love lining my drawers! Or sometimes I just paint them a totally different shade. I always forget to photo them! 😉 Yours are all so great! I just love your work, you make these ugly ducklings headed for a curb or land fill beautiful again and give them new life good for you. 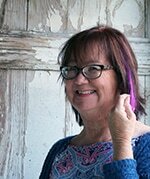 I have been using wall paper contact paper, just about anything I think will look pretty. I don’t think a piece is complete unless the drawers are done. Kathy, you always have some interesting to share. 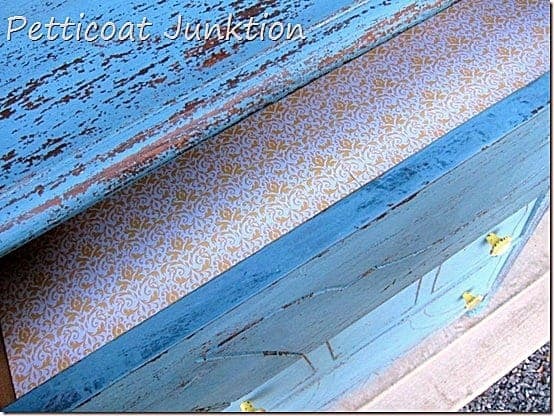 I love that you use such wonderful papers for your furniture. It’s the finishing touch that most furniture vendors don’t even think of, they put all their work on the outside and forget that the inside can sell a piece as fast as the outside finishes. Good girl!